The GeogSplace blog has been developed to explore geographical learning in SACE Stage 1 and 2 as part of the geography specialisation in the senior years topic at Flinders University in South Australia. Welcome to GeogSplace, a blog developed for the Flinders University Senior Geography topic to explore the study of geography in the senior school years. There is no such word as splace but I thought it would be an interesting way to get us to think that geography is very much about both the study of place and space, so why not splace? Here are some questions and a PowerPoint presentation to consider in our first week together. Enjoy!! Why did you choose to study geography? What is your geography study profile? What part of geography do you like best? What part of geography do you like least? What in your view is geography? Do you think geography will help you with your future career/job? 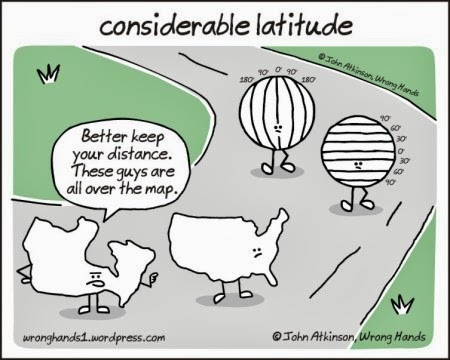 Do you enjoy discussing geographical issues? Can you list some geographical issues? What makes these issues geographical? Is there any one issue that really interests/enthuses you? Do you have any concerns about this class and how you may proceed/succeed? Do you have any questions before we start? I have taught history, geography and civics and citizenship in the South Australian education system since 1976. I have been actively involved in the promotion of geography and history over the years, in particular the use of spatial technology in schools. I am a Past Chair of the Australian Geography Teachers' Association (Chair 2008-13) and Immediate Past President of the Australian Alliance of Associations in Education (2013-present). During the development of the Australian Curriculum: Geography I was a member of the ACARA Advisory Panel (2009-2013) and Executive Director of the ESA GeogSpace project. From 2007-2011 and in 2015 I was the Manager for the Humanities and Social Sciences (HaSS) in the South Australian Department for Education and Child Development (DECD). Presently I am a Teaching Academic in HaSS Education at the University of South Australia and the Manager for the Premier's ANZAC Spirit School Prize in DECD. TECHGEOG 2013. Simple theme. Powered by Blogger.